Here is another go at M42, taken two nights later. In this case I dropped the exposure of the individual frames down to 5 seconds, which has helped reduce the over-exposure in the core of the nebula. However, I would still need to drop it a bit further. 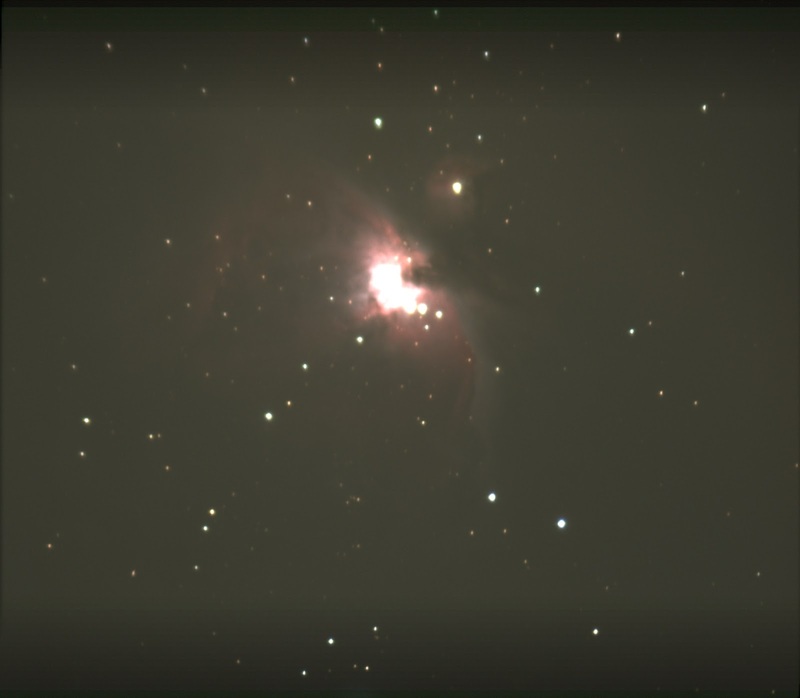 Here I took 29 sub-frames and again combined them using Nebulosity. There are still a few bits of electronic noise in the final image. It was a race against clouds again last night, or else I would have taken substantially more sub-frames. 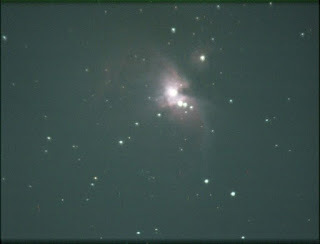 Once or twice a year I hope to be able to get a reasonable shot of M42, the great nebula in Orion. Here's last night's effort, assembled from 20 1 minute frames. I also took 20 equivalent dark frames to eliminate pixel noise, and they seem to have worked quite well. I did the processing in Nebulosity, a very nice astronomy image-acquisition and processing package. What I've learned from this is that I still need to go to shorter exposures not to wash out the central core. Also, examining this composite shot compared to one I took a couple of years ago, I think my focusing was a little slapdash last night. However, room to experiment means more fun the next time the clouds roll away. I am always in a little rush since I only have a short window to observe Orion at this time, before it falls below trees as visible from my garden. Unfortunately we haven't been blessed with many clear evenings this winter, so the good time to observe this constellation was lost under cloudy skies. 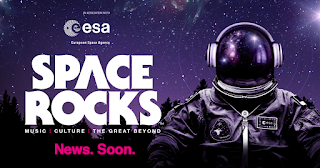 I'll be participating in Spacerocks, a one-day event at the Indigo in London on April 22nd, 2018. 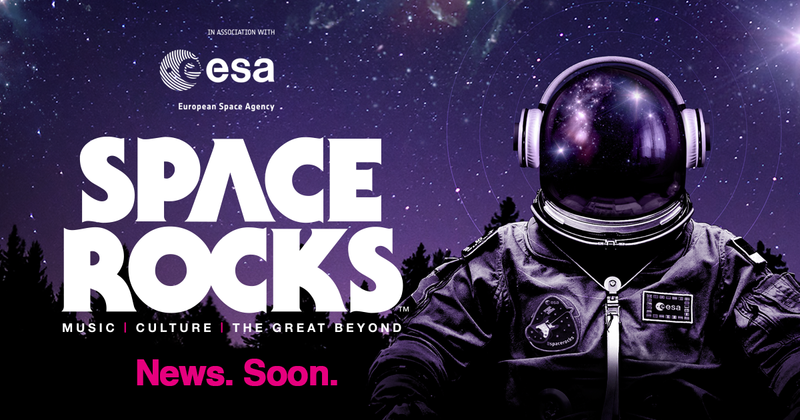 Other guests will include Tim Peake and Charlotte Hatherley, one of whom has been into space, and one of whom has played on several rather fabulous records - two equally noteworthy accomplishments, in my world. And an Instagram thing which I don't really understand. I'll be posting more information in the coming weeks. It should be tremendous fun.